Ouran. 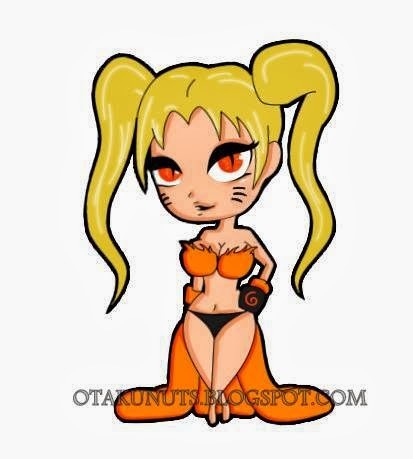 Naruto. Bleach. Fairy Tail. None of these could prepare me for my fifth "WINP" article. An article that truly destroys my soul to even attempt... Oh god, here we go. 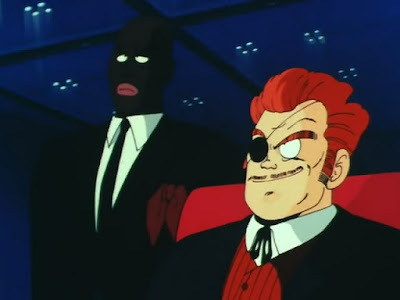 To celebrate the release of Resurrection F on DVD and Blu-Ray, as well as the Dragon Ball Super finally getting into original non-movie content, I've decided to unleash my hot white rampage over a series I adore. This is my fifth time doing this type of article so no need to explain. Let's just get started. Oh and... we're not even going to dignify GT by mentioning it. You know what Star Wars taught us? Laser beams are cool. And thanks to the Dragon Ball franchise, we learned that shooting laser beams out of our hands, eyes and mouths is even cooler. And unfortunately, we kept learning it until the subject was no longer true. 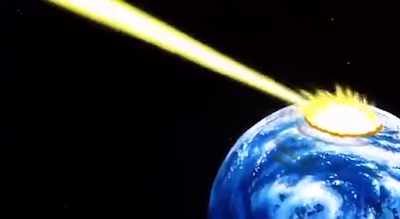 Dragon Ball loves to punch and use pretty lights to cause explosions, but that's really all they do. Sometimes we get a large disc made of pretty lights or we get a laser wrapped around another laser, but in the end, it's all just pretty lights doing the same thing over and over. Very little has actually changed, which really causes the series to falter when compared to other shonen manga such as Hunter X Hunter or Fullmetal Alchemist. 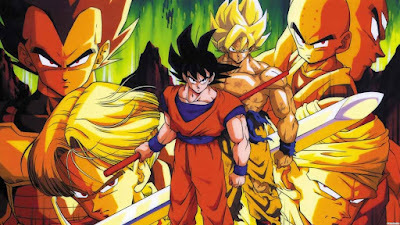 I'm not saying every series needs to go as wonderfully diverse as Naruto does, with it's big wooden puppets and shark-shaped blasts, but I think it might be time for Dragon Ball to consider leaving their comfort zone and discover what else they can use to fight. I'm Hungry. Where's my Launch? Can any Shonen do this right? Is Negima the only series out there capable of giving almost everyone screentime? Obviously, characters like Vegeta and Gohan manage to stay relevant in this series, but does anyone remember when Launch was important? Or Yamcha? Because I sure as hell don't. And the simple reason for that is that the Saiyans utterly took over the franchise. This is how I'll always remember Launch... in lingerie. Humanity struggles to stay relevant and characters that once took centre-stage have to do their best to even get an honourable mention anymore. Tien somehow manages to stick around, but is so obviously unable to keep up that it's almost like seeing one of the moles from Whack-a-Mole try to get revenge against Fuzzy Hammer Inc. I love Future Trunks and Vegeta and so many others, but don't you just wish one relevant fight could be won by a hero that came from planet Earth? I mean, some of us are blonde after all! He ain't Important. He's my Brother. This one is more of a personal flaw as I cannot believe that this series ignored so much potential by immediately removing Goku's very own brother! Yes, I actually consider Raditz a flaw. His first appearance is almost legendary, as it expanded the mythology of the Dragon Ball franchise and gave us just a taste of how incredible the series was about to become, but that's all he did. He appeared, revealed he was Goku's brother, died and was never mentioned again. WHY WAS HE IN XENOVERSE BUT NOT ANDROID 16 OR MAJIN VEGETA?!? 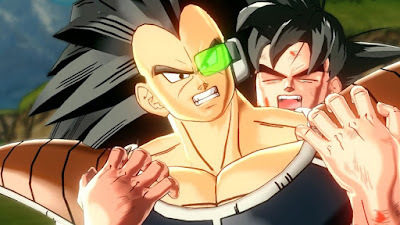 In the video game "Budokai Tenkaichi 2", there is a "What If?" scenario involving Raditz having an actual character arc involving memory loss and gaining a connection to his brother. And while the game itself left much to be desired, it does highlight the potential of having Goku's evil brother go through development. In a way, you could argue that it might have just felt like another Vegeta story arc, but I'll always be left wondering if Raditz could have been more. Can we all take a moment to point out how amazing Bulma is? When you really think about it, Bulma is a perfect example of a great heroine. She's smart, always stays away from the fights yet not one member of the fandom throw around the word "useless", and she has tons of personality. She's the only person who can scream "Screw you!" at Lord Frieza and survive! Bulma never needs to fight because she'll always do something else. Bulma. Pimp. That is all. Unfortunately, not all the women can brag like this. I don't want to use the word "useless", because the Naruto fandom has bloody ruined it for me and I find it almost as grating as the word "overrated". However, I will use the word "uninvolved". While not every women needs to be a fighter, as proven wonderfully by Bulma, why can't any of them be? 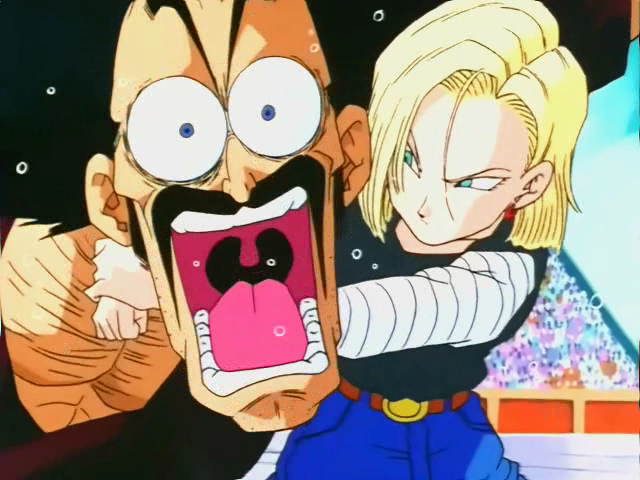 Android 18 is probably the closest we've ever come to a truly badass fighting girl, as not only was she able to fly and use powers, but she actually broke Vegeta's Super Saiyan arm! That is utterly shocking! Weirdly though, she got pregnant and just stopped doing all that. I can't see Krillin being the type to make 18 sit down and "know her place", so what the hell? I love 18! You will not believe which one is the more relevant character in this picture. There's nothing wrong with the women when it comes to personality (well, Chichi can be annoying), but that just makes it worse! We want to see them have victories as much as the guys! Female power, yo! Mad Max showed us how awesome that can be! Puberty is a Tough Time. ...Don't judge him. He's not had that class yet. Suddenly, Gohan wasn't useful. And for Gohan to not be useful is horrible. His "Great Saiyaman" arc was unbearable, and his awkward teenage self felt uncomfortably out-of-place alongside everything else going on. I suppose you could make the argument that it was always part of his character to not be a part of Goku's world of monsters, but then the series keeps pushing him into that world and torturing him! Look at what happened to Ultimate Gohan! Look at what happened against Frieza! 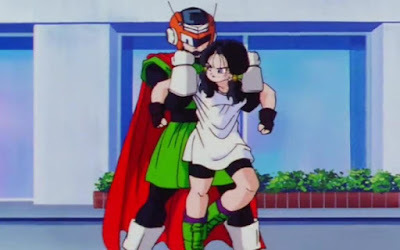 Gohan, you have an amazing wife and a kid who tried to kill GT. It's okay to not get involved anymore. 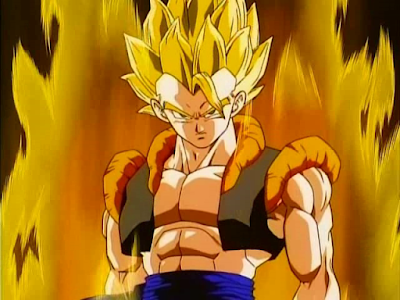 Remember how cool Super Saiyan 3 was when we first saw it? The clouds moved and Goku screamed and got an amazing hairstyle and power-up to beat up the most annoying character DBZ has to offer, Fat Buu, and we all just roared in amazement? Or how about when Toriyama got the genius idea to combine two badass characters into one super-badass? That was brilliant! It looked so cool... but that's it. And just like that, a thousand fanfictions were created. Yeah, the sad truth is that when you really look at the series, you see a lot of pointless moments in the grand scheme. Fusion was a brilliant idea that gave us some great fights, comedy and tension, but then it disappears and you don't need to remember it anymore. Super Saiyan 3 was a bit more relevant when it was used to fight Kid Buu, but then it disappeared rather quickly and became forgotten as well. Taking a look back, there were many things that could be considered pointless by the time the finale of each arc came along. Yamcha, Tien and Chiatzu training to fight Nappa? Literally only useful to buy time for Goku to arrive. The scouters that Vegeta and the others used? Stopped being relevant the second the series revealed they can hide power levels. If the series' main focus was story, I think I'd be a lot more upset about this than I currently am. I just think these guys are boring. Not worth Goku's time, and the only redeemable part to me was that they created the Android Saga. ...........I don't have anything else to say with this one. Boring. Moving on. Any flaws I missed out? Any other manga/anime series I should be pointing out the flaws of? I'm sure I could find something in every series! Tell me below in the comments. Dragon Ball has a lot of faults. I think most people are aware of it on some level, they just believe that "oldie but goodie" or "classic" is enough to make up for all those problems. Which it is, to an extent. I mean, the stereotypical shonen formula (sadly missing characters like Bulma and 18, what happened anime?) was made here, and it's got its perks. But... yeah, it could use a little change after all these years. As for other anime to review... how about Medaka Box? Dragon Ball has so many faults, but the rest of it is so good we don't even care about them. I just wanted to find a classic series to flaw on for a while. Medaka Box? I've read that, yeah. Are you asking for a WINP or a review from Claydragon? Mmm, either-or's fine with me. Well there is the obvious flaw, that the series is not very complex. The story is rather simple, the characters for the majority are also not the deepest with some exceptions and the conflict is rather simple. But Toriyama always wanted it that way, so you can't really fault it for that. Maybe that it aged rather badly. The majority of Dragon Ball Super viewvers are probably those who grew up with it or who have heard so much about Dragon Ball, that they simply waned to know, what it's about. I don't think there are many new viewers. But on ther other hand you don't complain about Shakespear plays, that you've seen the plot and quotes a million times already. Dragon Ball is not some grand piece of art, that will make you think. But Dragon Ball knows what it is and tries to make the best of that. And it succeeds in that regard. Nowadays, you can't say that about many other anime and manga. And Cell Saga was the best part.